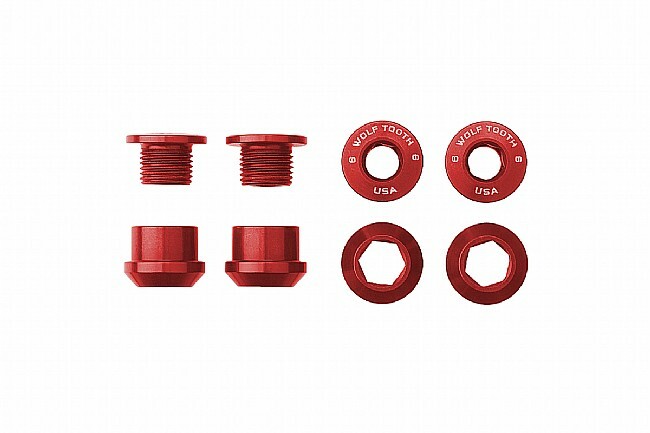 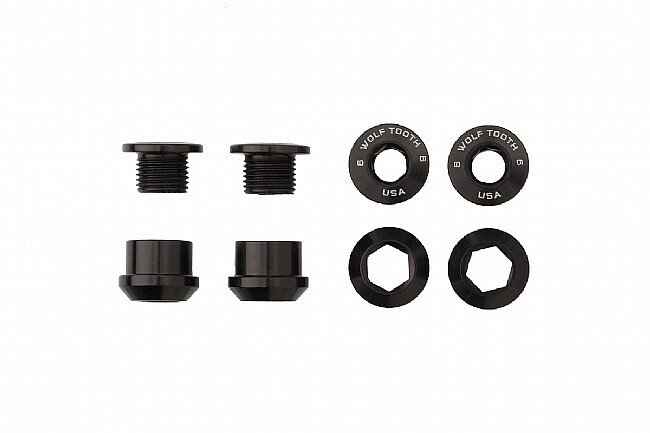 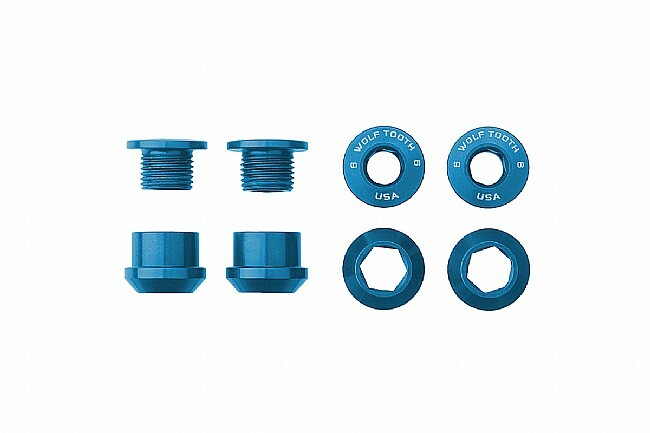 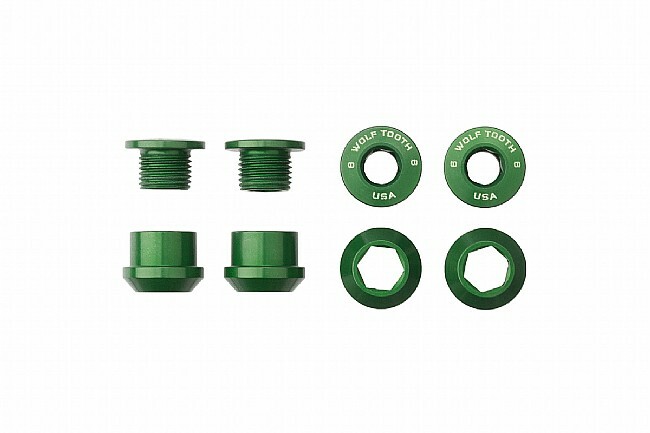 Designed specifically for 1x drivetrains and their users, the Wolf Tooth Components Alloy Chainring Bolts are not only lightweight, but significantly easier to use while maintaining security. 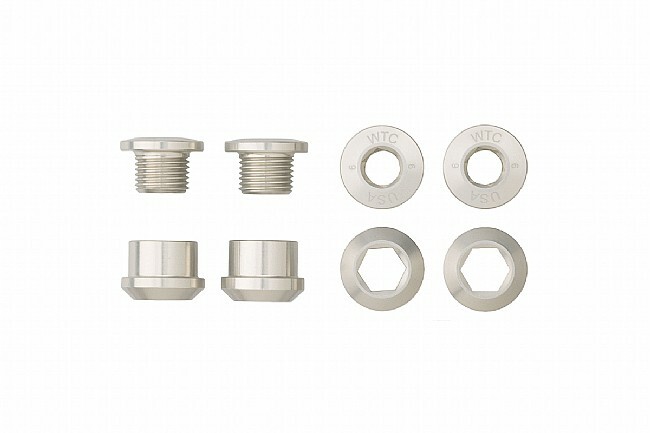 Designed to be the best, the Bolts utilize a 4mm hex and the Nuts use a 6mm hex, removing the need of that awkward spanner. 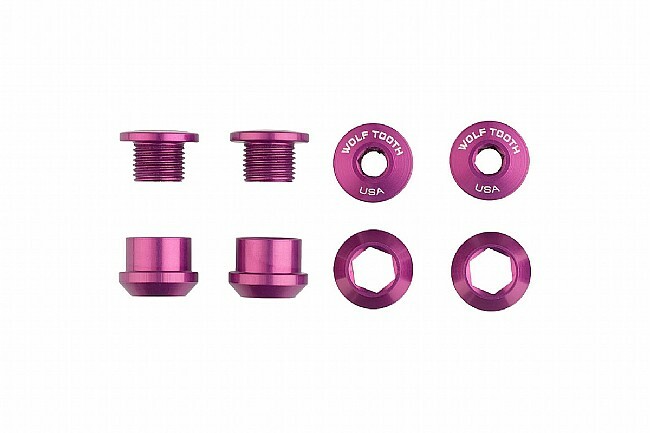 With these 7075-T6 aluminum nuts, you can truly and easily change your chainrings on the side of the trail.